Pervasive refusal syndrome (PRS) is a rare but severe condition, characterised by social withdrawal and a pervasive active refusal in terms of eating, mobilisation, speech and personal hygiene. 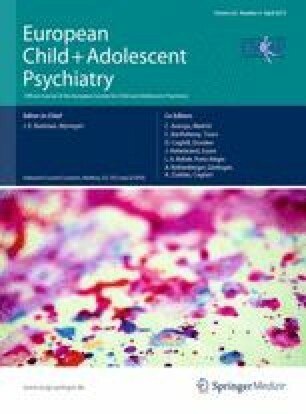 PRS has been proposed as a new diagnostic entity in child and adolescent psychiatry, although the diagnostic criteria are debated. In the past 10 years there has been an increase in PRS symptoms among asylum-seeking children and adolescents in Sweden. Here, we describe five cases of PRS among asylum-seeking children and adolescents. Three females and 2 males, 7–17 years of age with the clinical picture of PRS, treated as inpatients at the Department of Child and Adolescent Psychiatry, Malmö, Sweden, 2002–2010, were analysed on the basis of their medical records. Subjects were diagnosed using previously suggested criteria for PRS. At follow-up, a semi-structured interview focusing on the inpatient stay and current status was performed. The subjects were assessed with Global Assessment of Functioning (GAF) and self-rating questionnaires regarding depression and post-traumatic stress disorder (PTSD). The pattern of refusal varied among the five subjects. All subjects originated from former Soviet republics, indicating a possible cultural factor. Mean period of inpatient treatment was 5 months. All subjects received intense nursing and were treated with nasogastric tube feeding. Parents were involved and were given support and instructions. All subjects gradually improved after receiving permanent residency permits. Depression and PTSD were co-morbid states. At follow-up, 1–8 years after discharge, all subjects were recovered. Although a severe condition, our five cases suggest a good prognosis for PRS among asylum-seeking children and adolescents. We wish to express our gratitude towards the subjects and their families for their participation in the study. We also wish to thank Leslie Walke for linguistic help. Grants from Kronoberg County Council, FoU Kronoberg, Växjö, Sweden, reference number 24/2011, were received. Do you remember the time at the hospital? How would you describe your inpatient stay? Could you think of any factors contributing to your illness? Do you remember the onset as a gradual or rapid process? Do you remember your parents’ reaction to your illness? In what way did your parents affect you during your inpatient stay? What is your opinion of the care given at the ward? Did you feel anything was lacking in the treatment? Was there anything regarding treatment that could have been better? How did you experience the treatment with stimulation of the senses? Do you remember any factors contributing to your improvement? Do you think of your improvement as a gradual or rapid process? Was your permanent residency permit an important factor contributing to your recovery? Do you have any advice to us as care providers to consider next time we treat a patient with Pervasive Refusal Syndrome? How have you felt during the past 2 weeks? Are you happy with your social environment? Do you have an occupation or are you studying? Do you have any somatic or psychiatric symptoms? Have you had any subsequent contact with any care providers after discharge? If so, what treatment did you receive? Do you have any current contact with a psychiatric department?